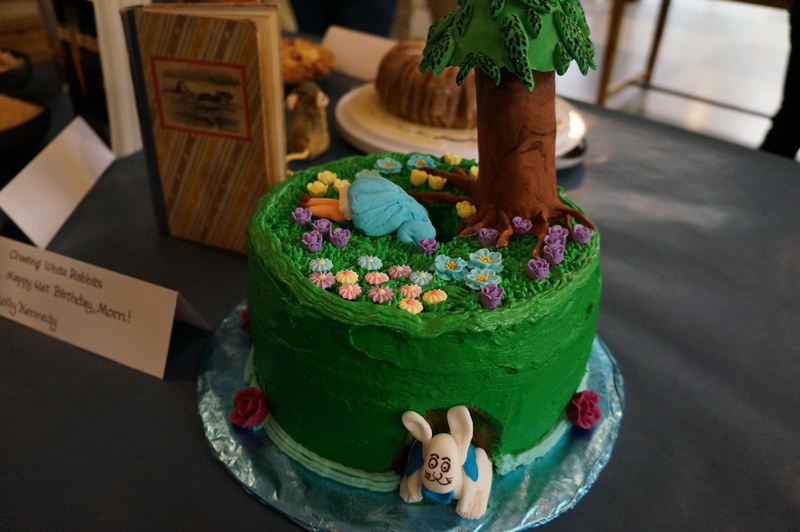 Recently I was honored to serve as a judge at the Shoreline-Lake Forest Park Arts Council’s first ever annual Edible Book Festival. I was asked to choose the top entrant in the category “Most Pun-derful”. 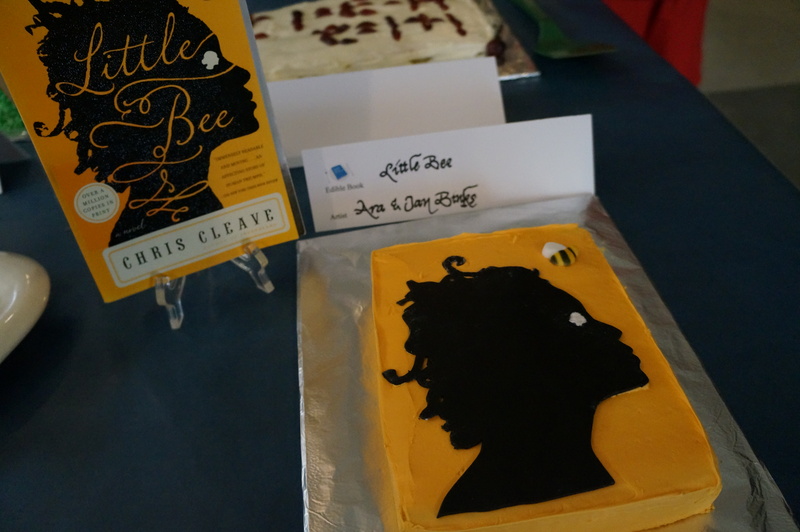 Some of the entries were very literal, such as this perfect re-creation of the book cover of Little Bee and this beautiful portrayal of Alice going down the rabbit hole. 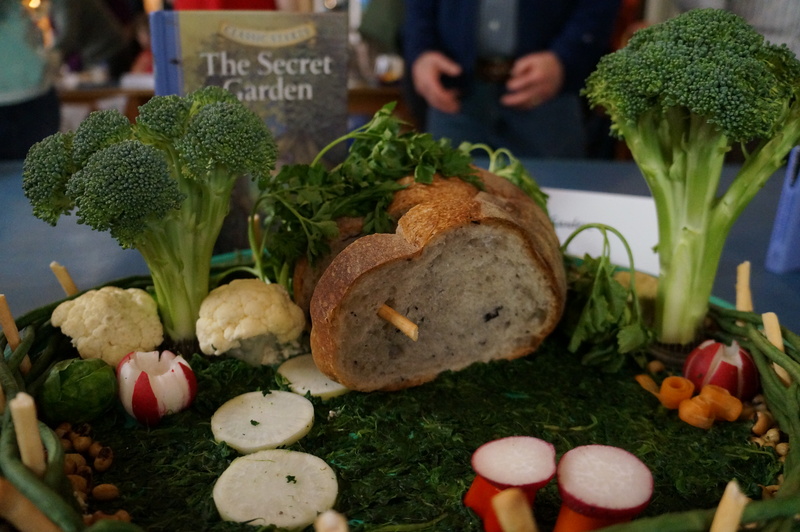 This depiction of The Secret Garden was definitely a crowd favorite. 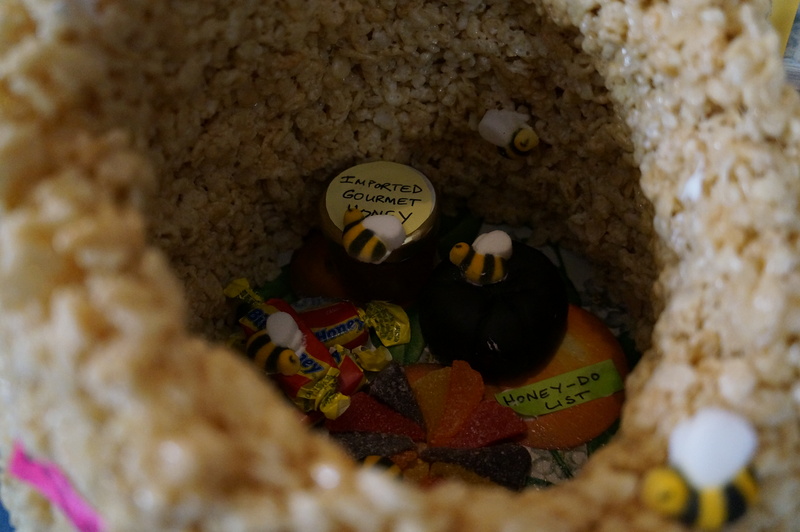 Have you always wanted to see the inner workings of a bee hive? This artist reveals to us what really goes on inside! Imported honey! Oh no! 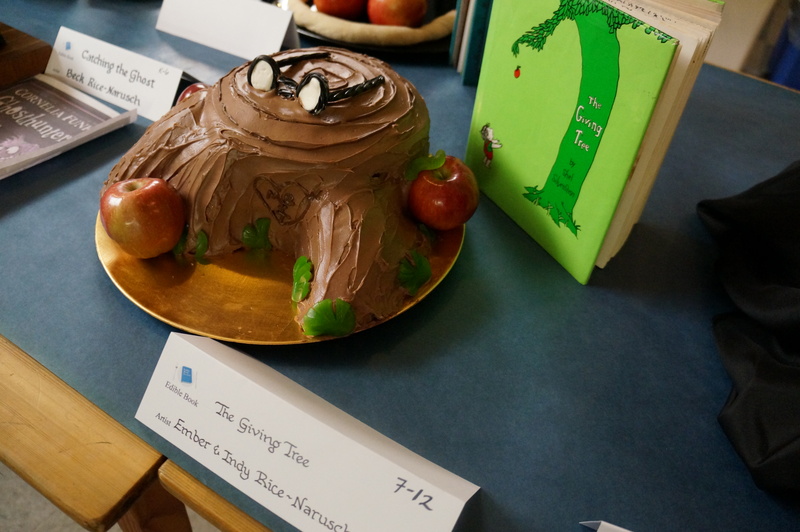 One of my favorite books is The Giving Tree and this creation was so artfully done by some very talented teens! 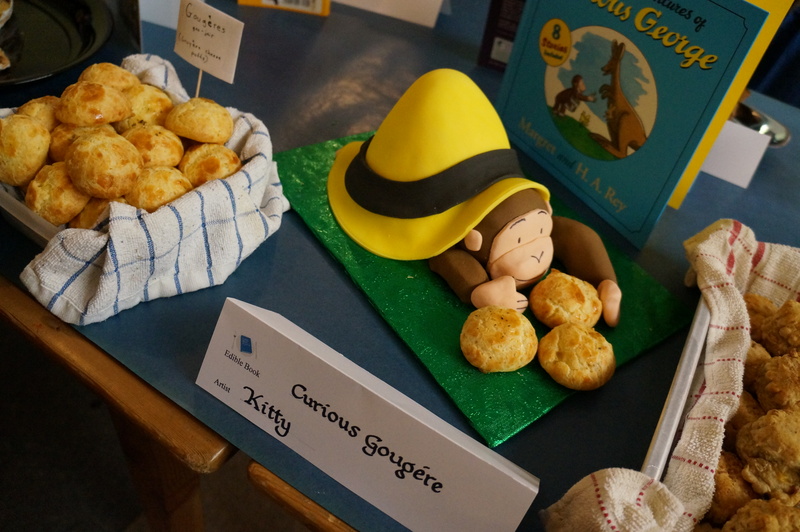 And adults didn’t shy away from child’s play – this “Curious Gourgere” was gorgeous and I could have gorged on the gourgeres! De-lish! 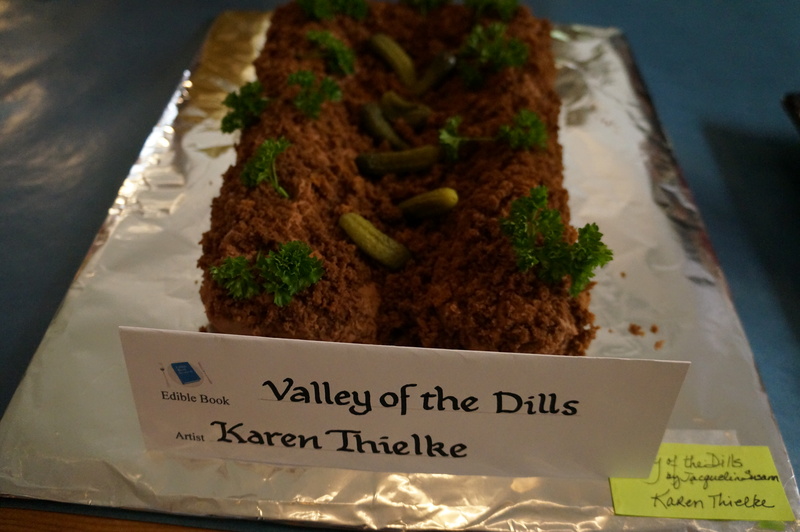 Prizes were awarded for “Most Good Enough To Eat”, “Best 3-D/Architectural”, and “Most Literal Depiction”. All of the categories were tough to call but I felt like mine was the most difficult to choose a winner! 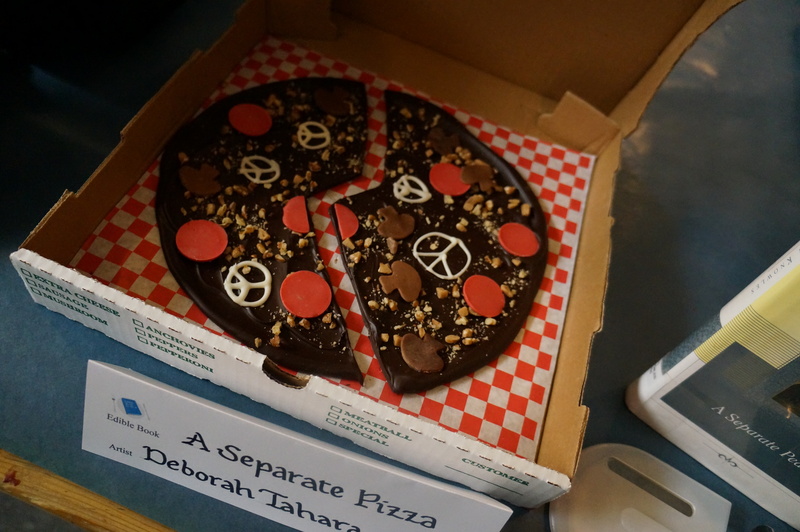 “A Separate Pizza” was one of my top picks for “Most Pun-derful” as the artist used several puns – even using “peace” signs as toppings! I just love the edible knife on this Cutting for Stone interpretation. 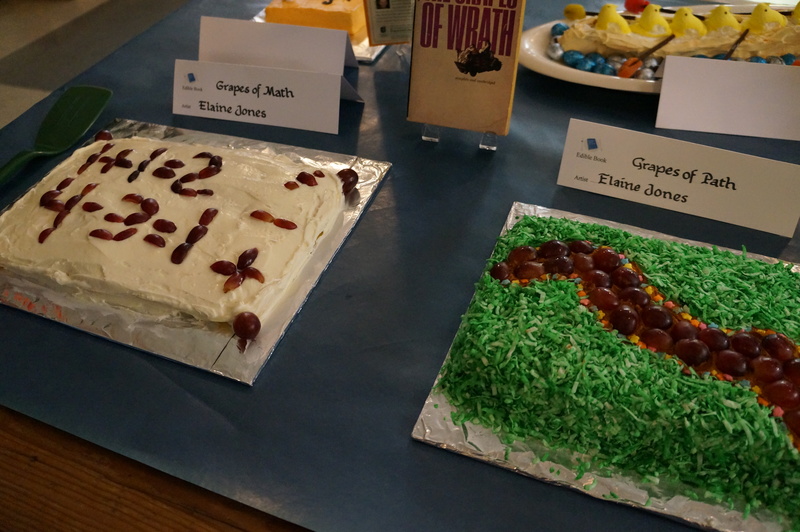 This artist was very clever in her use of puns for The Grapes of Wrath. 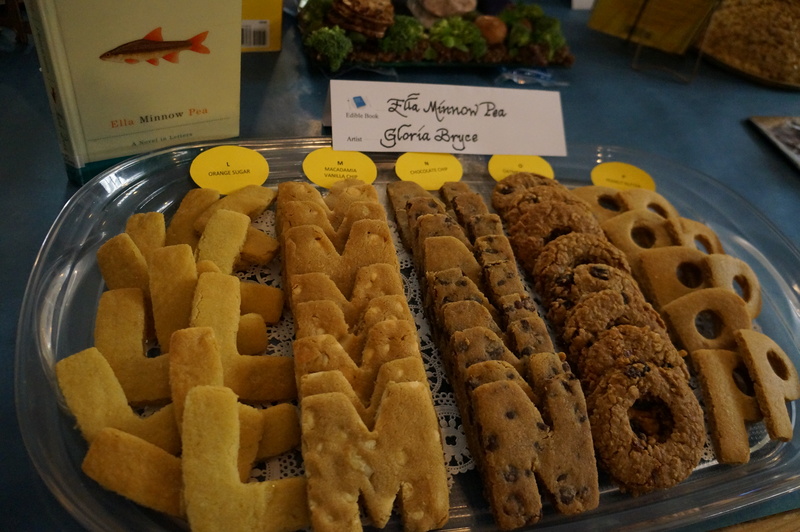 “Ella Minnow Pea” made me smile and her cookies were so moist and tasty! The Game of Thrones theme is very hot right now on the party scene. This artfully arranged plate of scones would make a great addition to the buffet table. 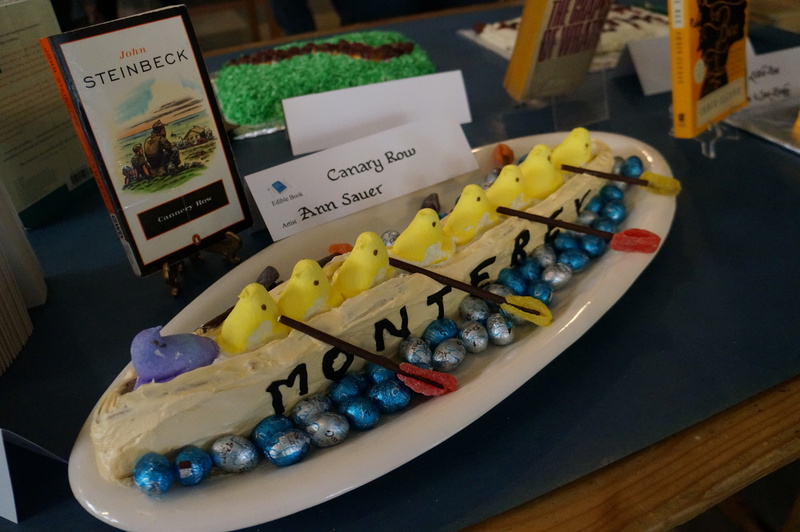 But my top pick for “Most Pun-derful” was Ann Sauer’s “Canary Row”. It was so smartly done! Several layers of play on words! And of course, as you know, I love food! That is why I was so excited when I was invited to participate in this fun event. 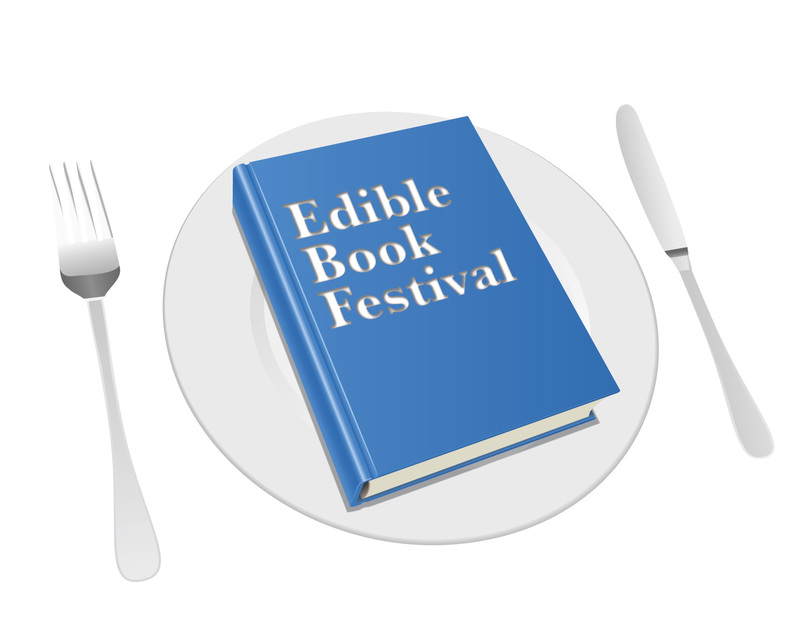 On Saturday, March 30th, 11 am, at Third Place Commons in Lake Forest Park (17171 Bothell Way NE,) the Shoreline – Lake Forest Park Arts Council is hosting its first Edible Book Festival. And I have been asked to be a judge for this fabulous event! Someone pinch me! 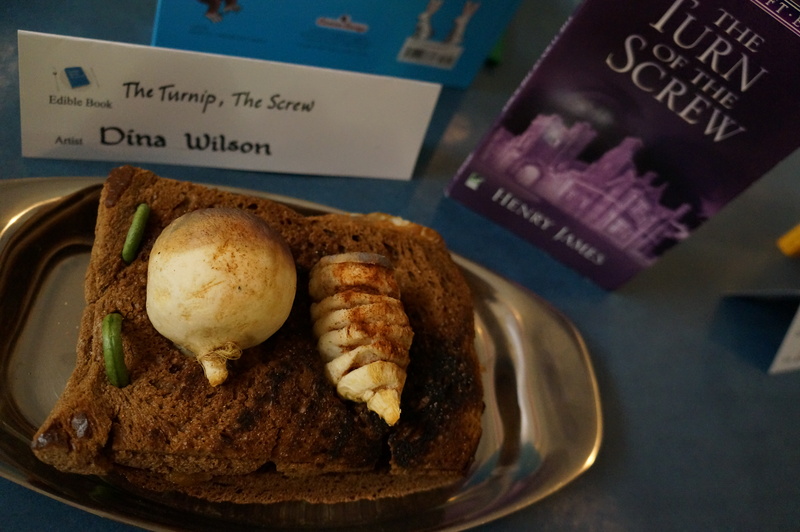 An “edible book” is a dessert, main dish, side dish, or appetizer, that is inspired by a book. It can look like a book, scroll or tablet. 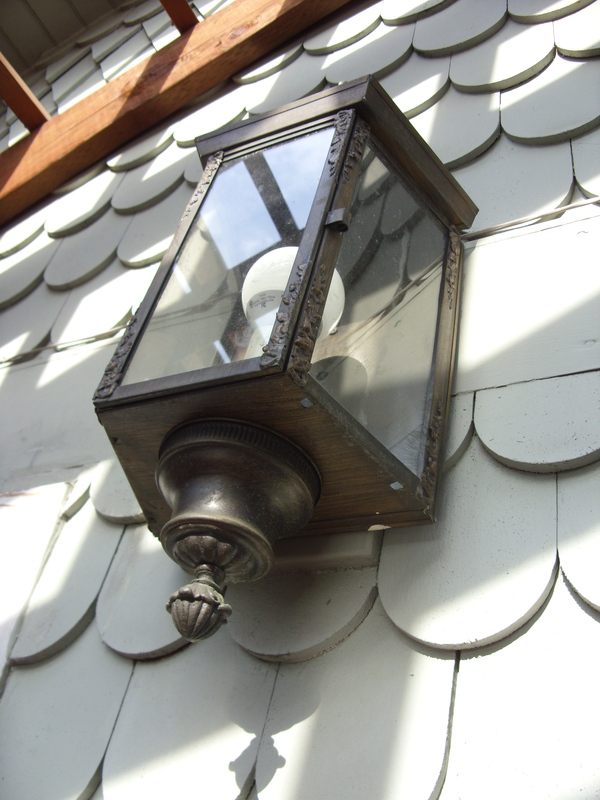 It can be inspired by the book title, a scene or a character. 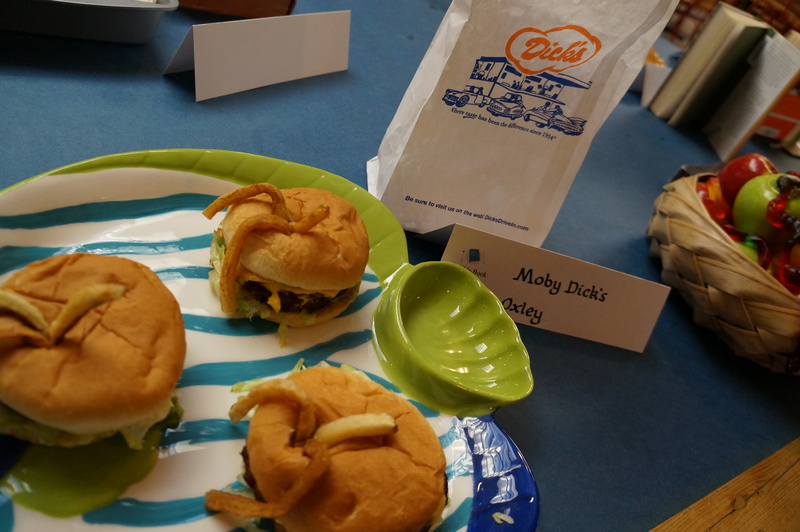 The idea is to have fun, and create something good to eat, and share. 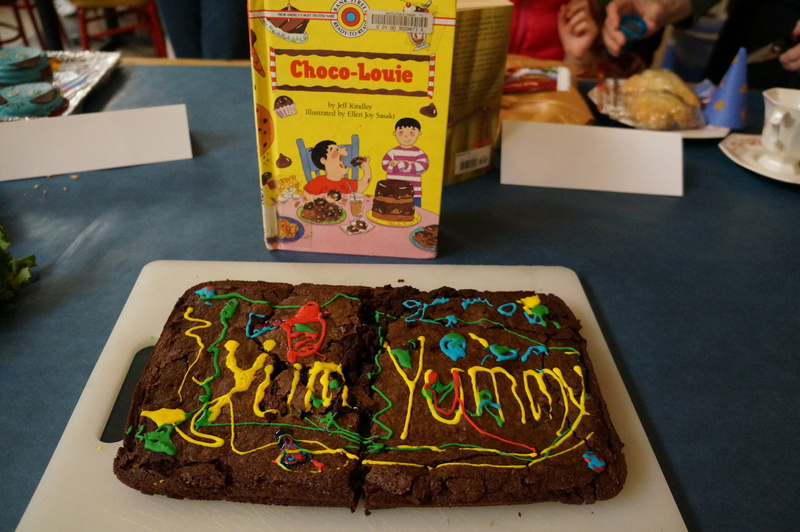 In 2000, Edible Book Festivals started in many places around the world. 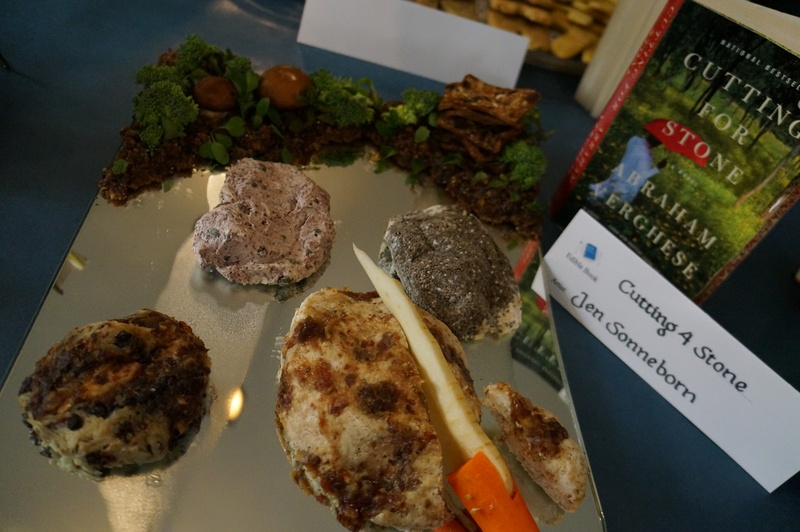 During the festival, the edible books are displayed, admired by the public, and photographed. 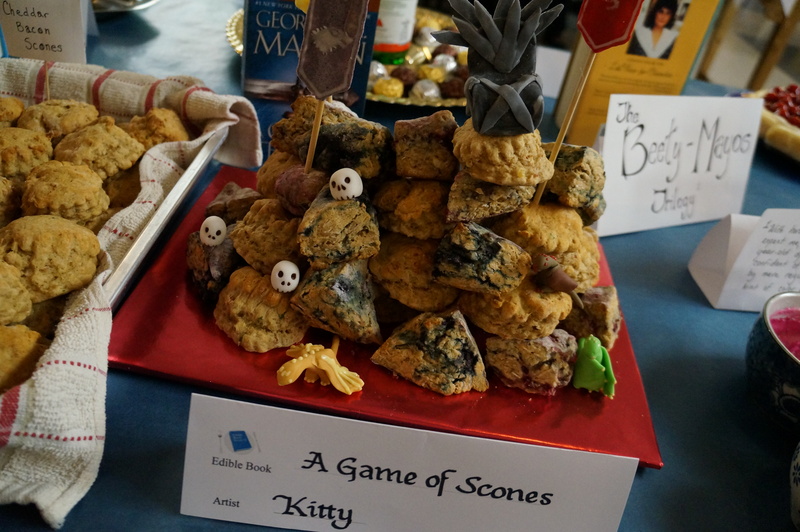 Come join us on the day of the event to admire the books, and eat. 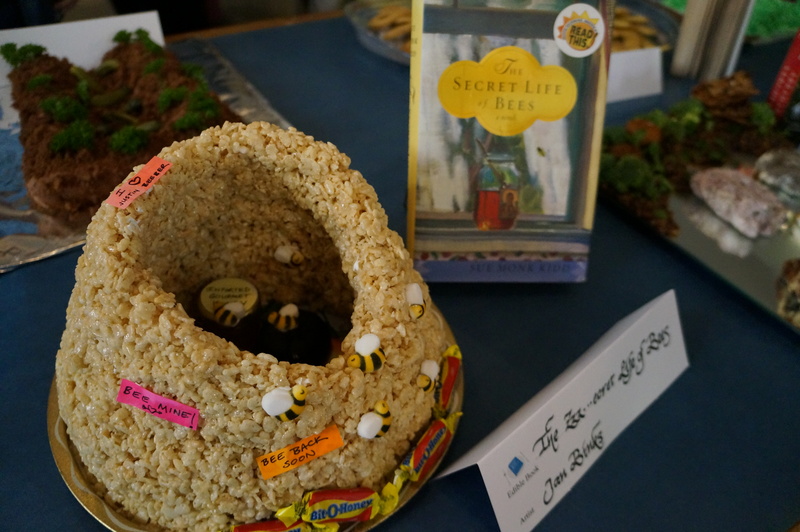 Or if you are a creative type, you can enter your edible book creation. The organizers of this event would love it if you pre-register before March 25th so that they have an idea of how many entrants to expect. But you are also welcome to register after the 25th, or even just also show up on the day of the event by 11:00 am with your creation. Do you have a favorite book? If you were going to pick a book to depict, what would it be? If you could choose any book to eat, which book would be most delicious? I hope to see you there so that we can share a good book together! Grandmothers are some of the most special people in this world. Through stories and recipes they are the passers of the family culture and history. My Grandma Irene is no different. I cannot imagine not having her in my life – spending time at her house growing up, and even now as we frequently meet for our lunch-and-symphony dates together as season ticket holders. The way she says, “I’ve probably told you this story a million times.” And each time I shake my head, “no”, as I hear it again, wanting her to repeat the story so that I can remember every detail. Even though she was diagnosed a few years ago with celiac disease, and is now gluten free so she can’t eat any of these goodies, she passed along this German Apple Cake recipe (here) that was my German great grandmother’s, has taught us how to bake the cookies of generations of Norwegians before us (as I wrote about here) and shared many other family recipes with me from her treasured, little, beat-up recipe box and faded, food-stain-filled church cookbooks. These have been some of the most memorable moments in my life. Spending time with her. She is the keeper of family memories. So many of those are tied into the history and recipes of the women who came before us, and thanks to her I feel a strong tie to the women who came before me, and am teaching my children these recipes and telling them her stories. Our family’s stories. 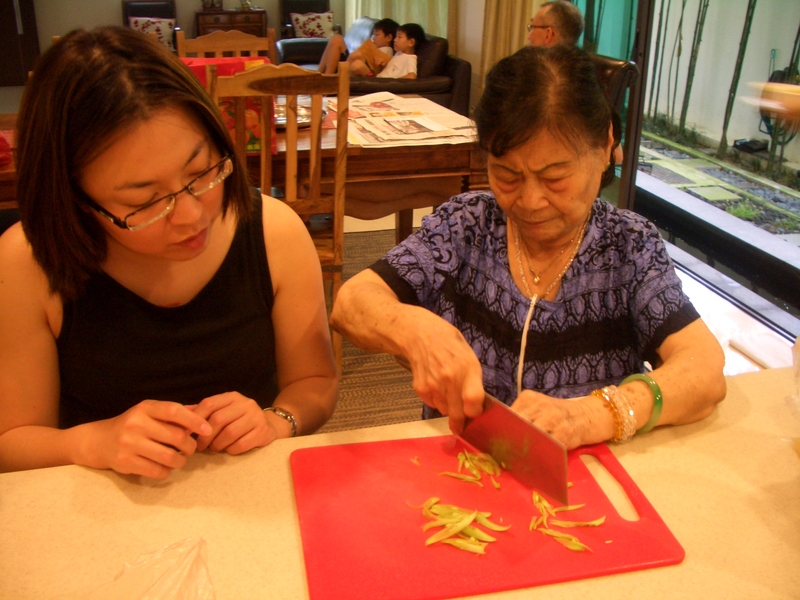 This is why I was so drawn to Patricia Tanumihardja’s 2009 book, The Asian Grandmothers Cookbook, that was just released to paperback last week. 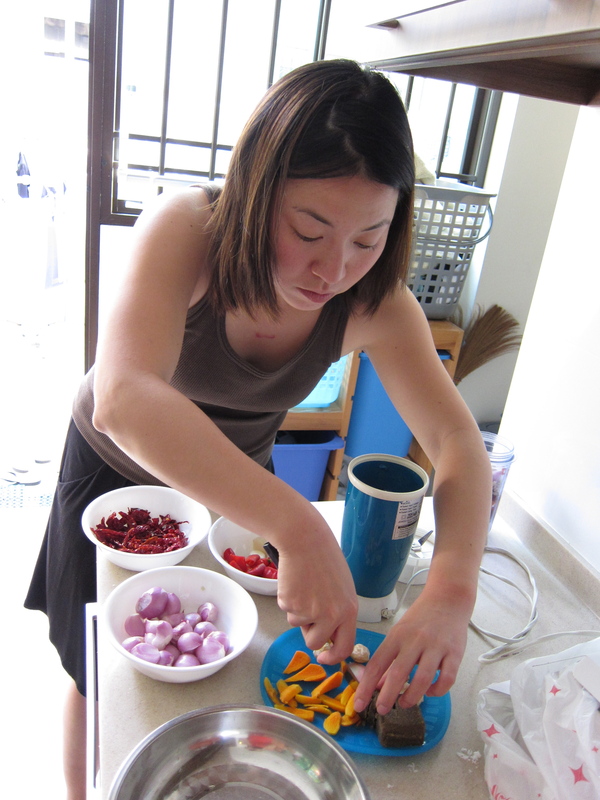 Patricia, a Seattle food writer who contributes articles to Saveur, Sunset, Seattle, and Seattle Metropolitan magazines, grew up in Singapore not knowing her grandmothers, but as an adult felt a very strong pull towards her ancestry. She was “already writing a lot of stories about the intersection of food, culture and tradition,” so when her publisher suggested this topic, she decided that it was right up her alley. 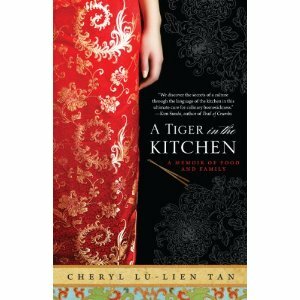 Patricia interviewed, cooked with, and listened to the stories of many Asian women in the assembly of this beautiful book chock full of delightful, inspirational stories, eye-catching photographs, and traditional Asian recipes collected from Chinese, Japanese, Vietnamese, Thai, Indian and Korean households. 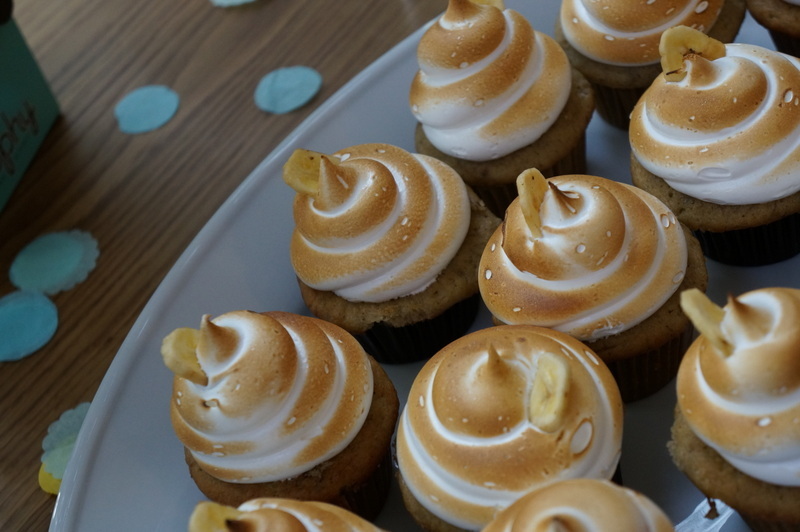 For more wonderful recipes, to see Patricia’s book signing schedule (she’ll be at the Book Larder in Seattle next month! 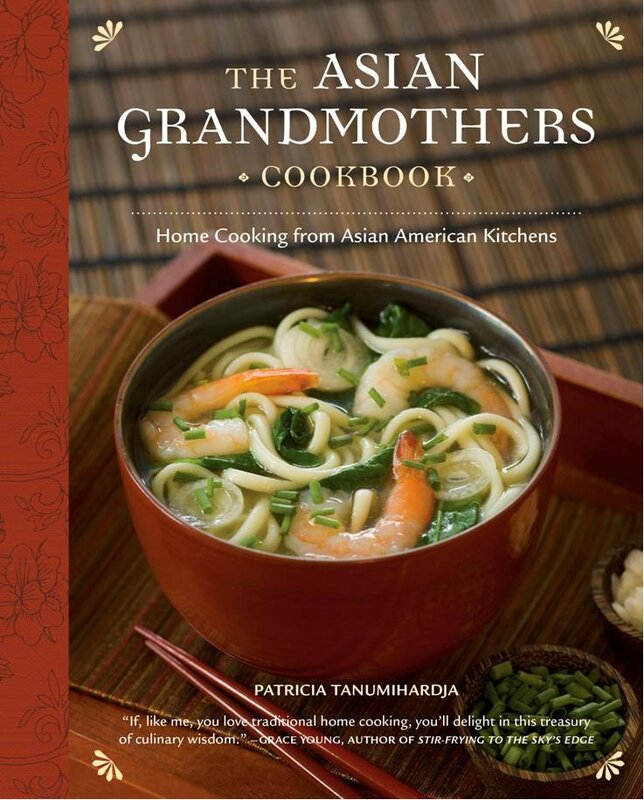 ), or to purchase The Asian Grandmothers Cookbook go visit Patricia’s blog. In a large saucepan, bring the water to boil over high heat. Stir in the tapioca pearls and reduce the heat to medium. 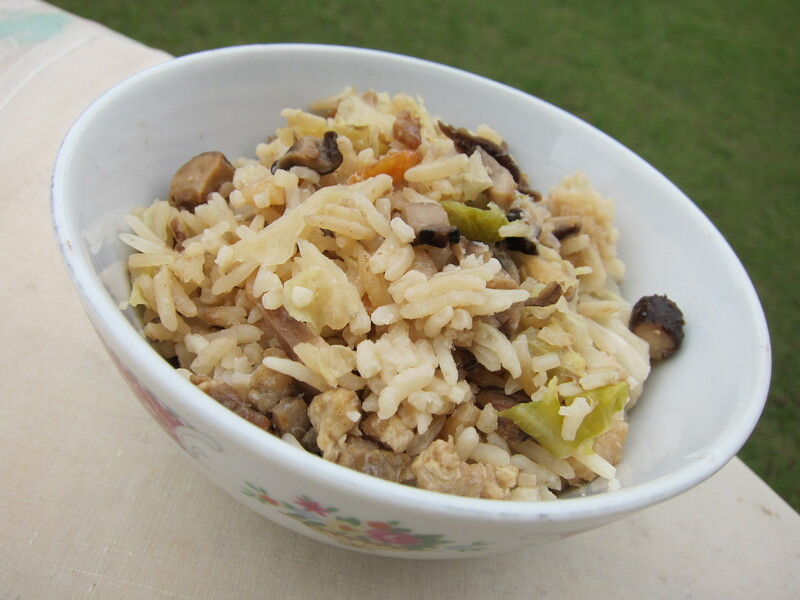 Cook until the pearls turn clear with the barest speck of white in the middle, 15 to 20 minutes. Pour the tapioca into a sieve and rinse with cold running water to wash away the extra starch produced during boiling and to separate the individual pearls. 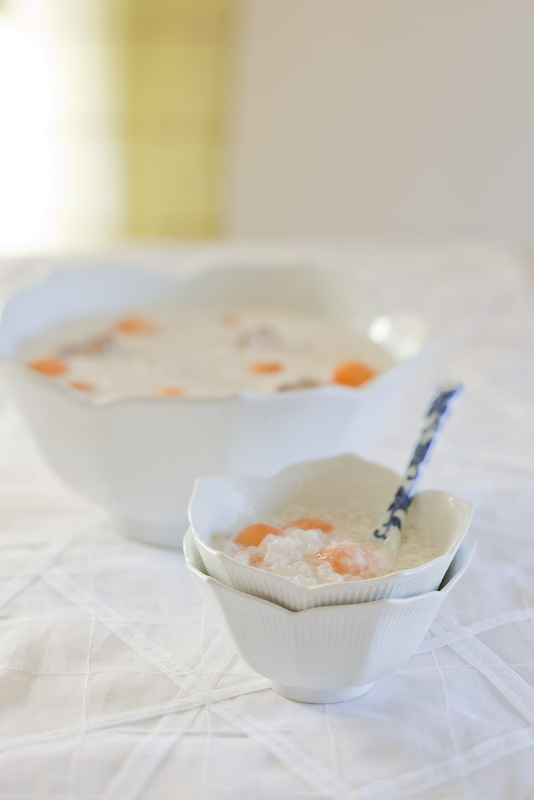 In a large punch bowl, combine the tapioca, melon, coconut milk, syrup, salt, and ice cubes. Stir to mix well. Ladle into individual bowls and serve immediately. In a medium saucepan combine the sugar, water, and pandan leaves. Be sure to scrape each pandan leaf with the tines of a fork to release the fragrance and then tie into a knot (so the fibers don’t don’t come loose) before throwing into the pot. Bring to a boil over medium-high heat. Reduce the heat to medium-low and stir continuously until the sugar dissolves, leaving behind a crystal-clear syrup, 8 to 10 minutes. Let the syrup cool completely. 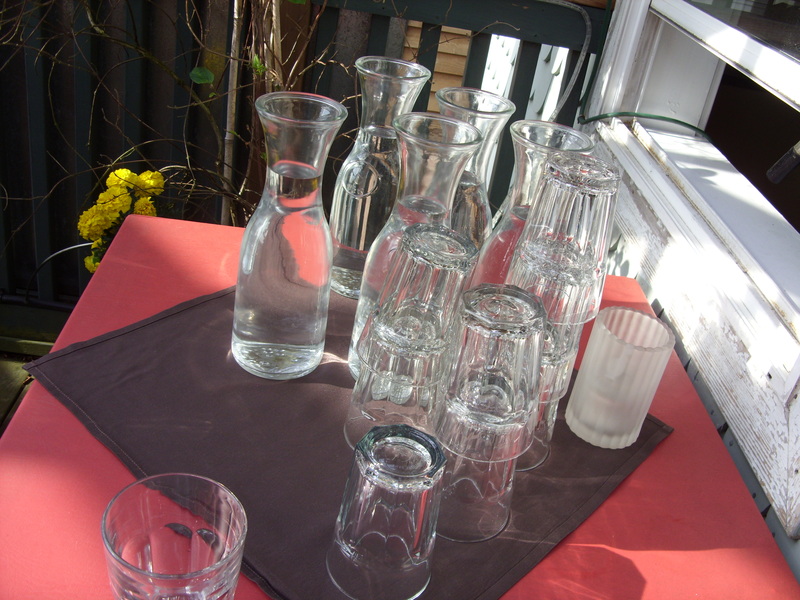 Fish out the leaves and use the syrup in desserts such as this one or transfer to a bottle, cover and refrigerate indefinitely for future use. 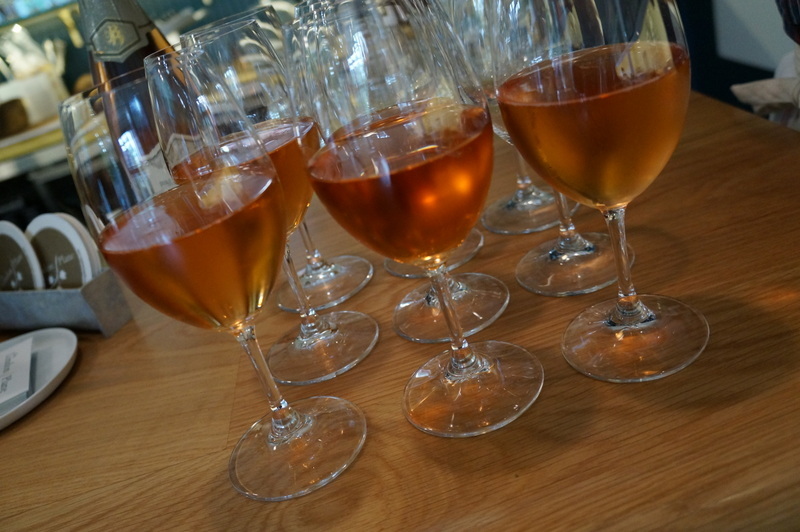 I was recently invited to a lovely, intimate blogger event hosted by the wonderful Frantic Foodie, Keren Brown. 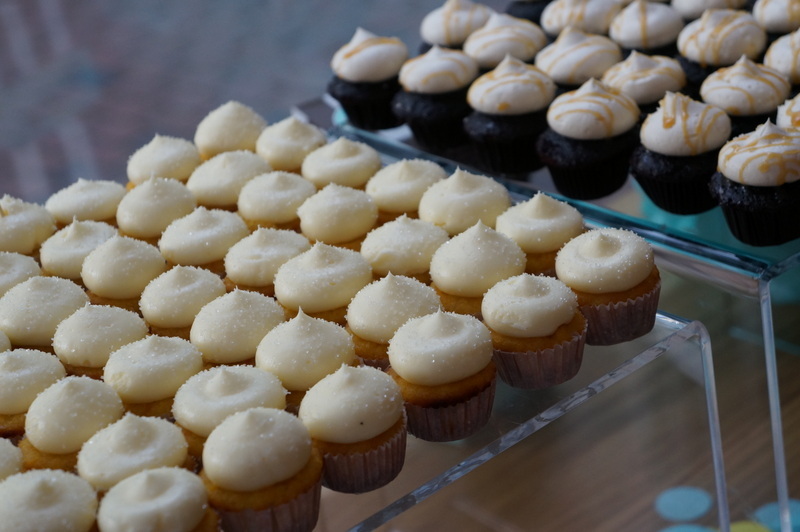 This gal really knows how to put on an event – Great people, fantastic venue, engaging content and incredible food! 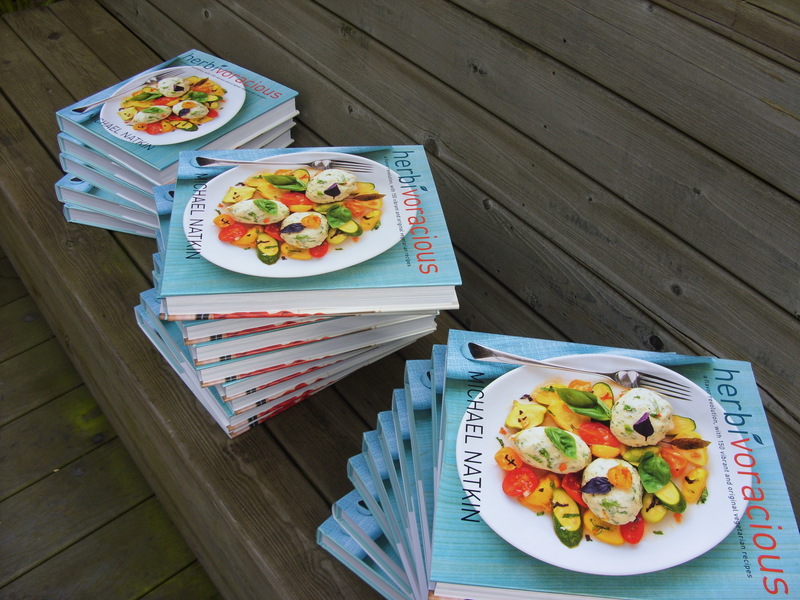 We were invited to a cookbook signing and Q & A with Michael Natkin, vegetarian food blogger of herbivoracious, and now new author of the cookbook by the same name. As an event planner I always have to keep diversity in mind when planning my menu. One wants to make sure that your guests’ dietary needs are taken into account when throwing a party and include, at the very least, a vegetarian option. Whether you are a vegetarian, entertaining vegetarians, or just trying to eat less meat, this cookbook should be in your cupboard! 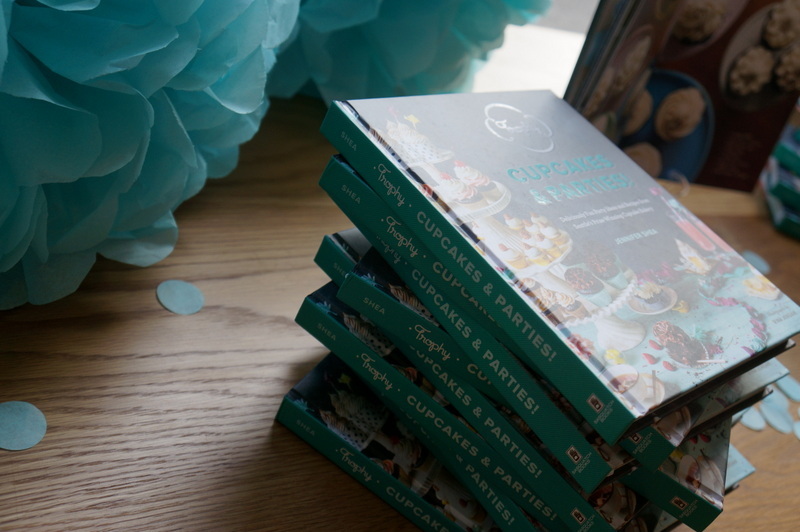 Filled with 150 original recipes, from soup to dessert (and everything in-between! ), this collection – with luscious photographs all shot by Michael himself – is a feast for the eyes and taste-buds. 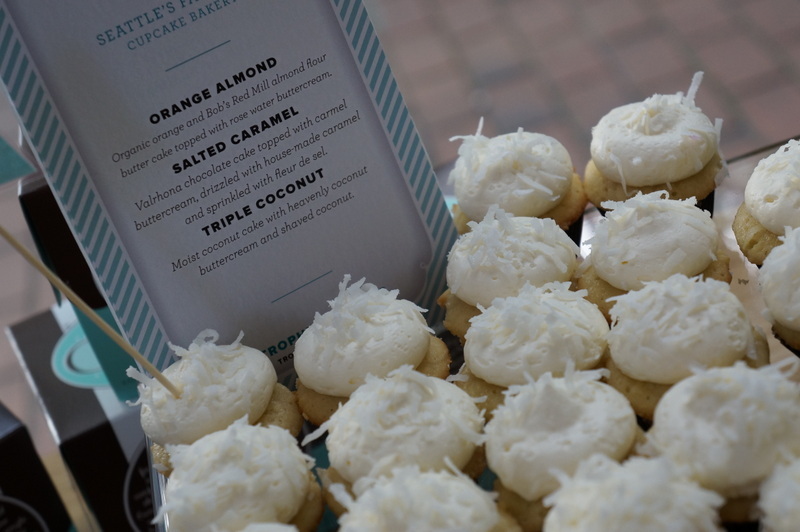 The event was held at emmer&rye on Queen Anne in Seattle, complete with small bites prepared by talented chef, Seth Caswell. So delicious – and all vegetarian! The emmer fries were incredible! And everything was amazingly fresh. 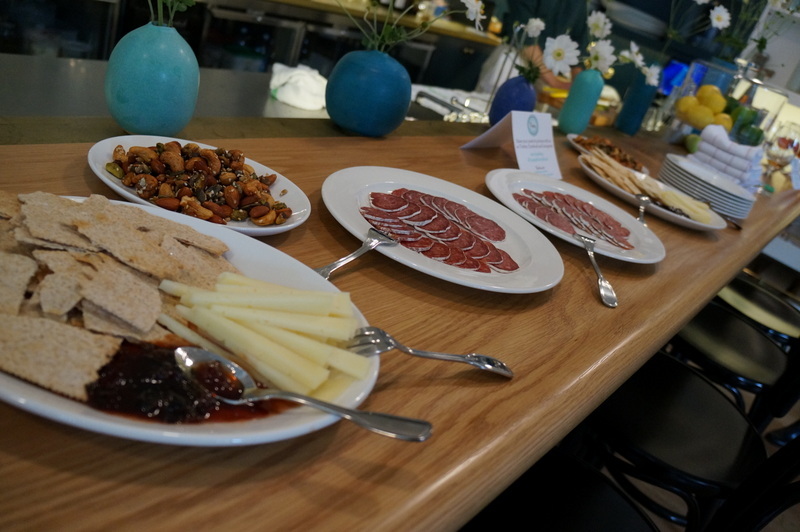 Chef Caswell is committed to bringing his guests the freshest, in season, local foods available – shopping the farmers markets and other small purveyors in order to spend local and support the community. 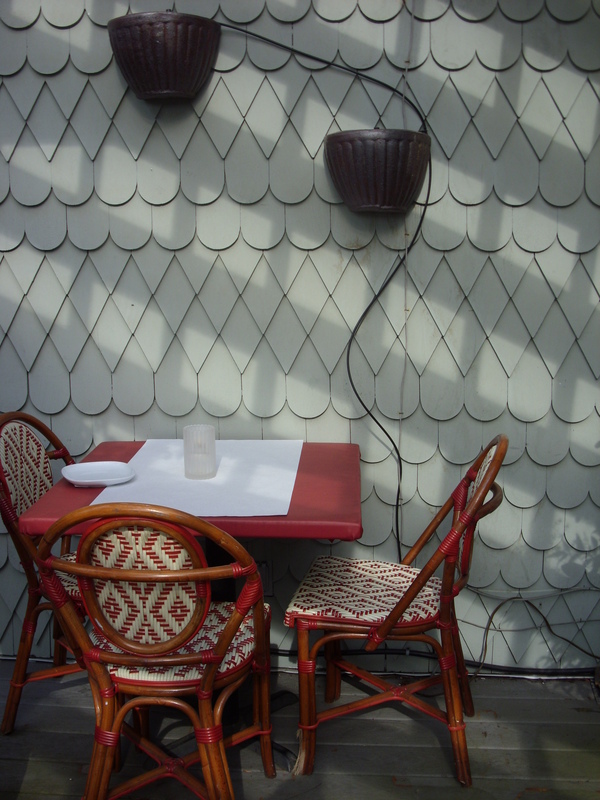 …we enjoyed our snacks on emmer&rye’s newly opened outdoor deck. 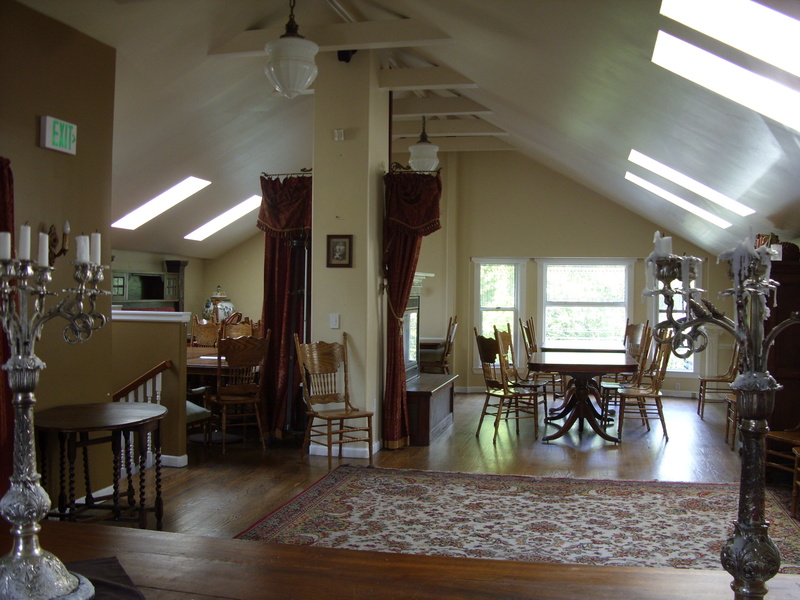 What a quaint little space! And so beautiful on a Seattle summer evening. 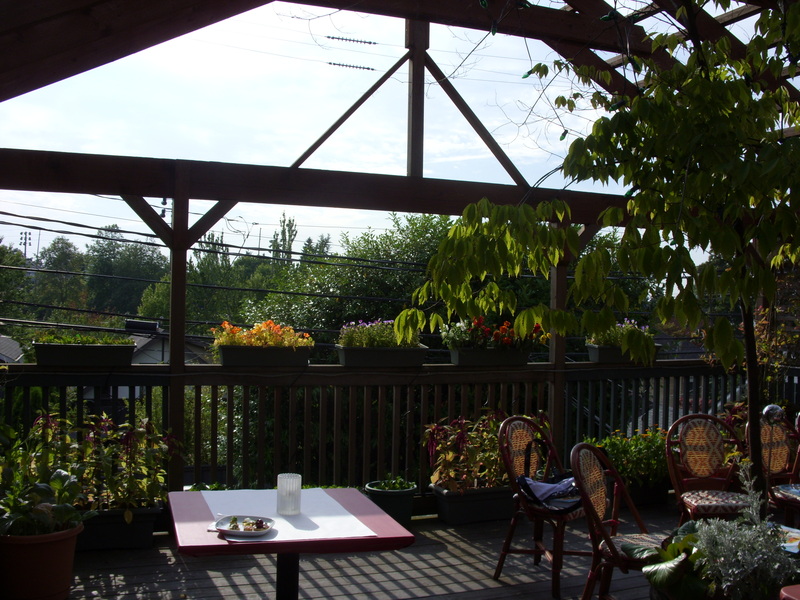 The deck can be reserved in conjunction with the interior event space or on its own. I’m thinking what a lovely spot for a girlfriend brunch or a cocktail hour with friends. Because there are very few places close by my office to go out for lunch, I am in a position of having to take lunch most days. Sure there are many great restaurants around town, but one has to drive a bit to get to them from where we are located. And for an hour break it just seems like more hassle than it is worth. I do look on this as a blessing in a way though. Brown-bagging is a great opportunity to save my pennies and eat more healthy. Right? I just get so tired of trying to think of something to pack each day (I am so over sandwiches!) And almost every morning I find myself bustling around the kitchen with 10 minutes to spare looking for items to toss in my lunch bag. My challenge – how do I throw together a delicious, healthy lunch in 10 minutes? The answer to my brown-bag dilemma? The bento! I’m not talking about those fancy bentos that everyone is pinning on Pinterest. You know the ones, with the cute bunnies, and pandas and such – those are adorable, don’t get me wrong – but for everyday they are just not the most practical. 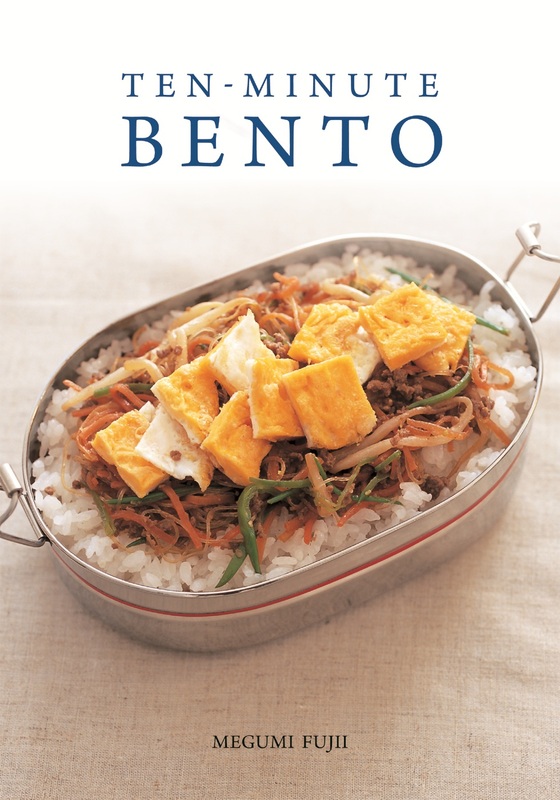 I felt like my lunch-time savior had arrived when I received a copy of the new book Ten Minute Bento, by Megumi Fujii. 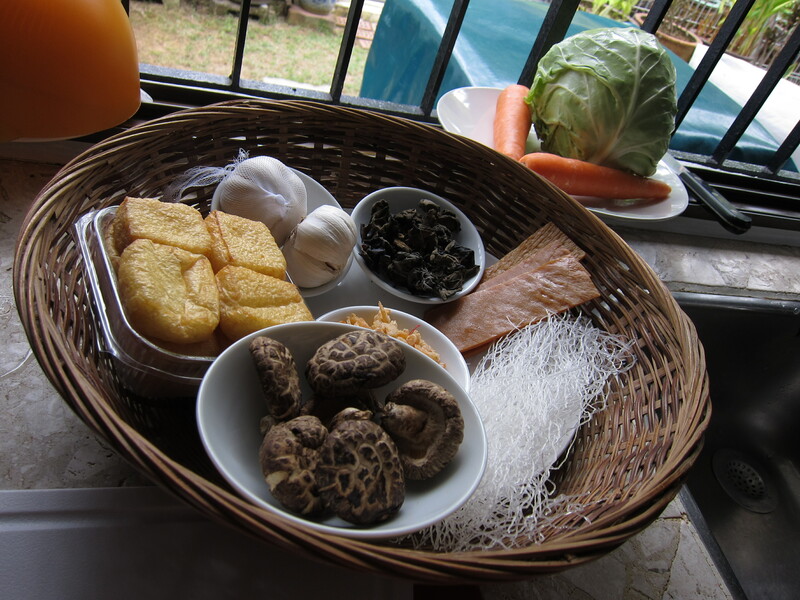 Megumi Fujii is a trained nutritionist who is very well known in Japan for her culinary expertise and has compiled more than forty cookbooks on a broad range of subjects. Currently, she is a regular on Nippon TV’s cooking program “3 Minute Cooking”. In her new book, Megumi shows us how anyone can achieve bento proficiency with just three basic rules, 1) You only need one or two toppings, 2) It’s easy to throw together and, 3) Rice is nice! Anyone can pull together the bento recipes in Ten Minute Bento, and you don’t have to have special equipment (you can use any container available to you!) or artistic talent. This book is all about fun, fast, delicious, and healthy. In the meantime, here is the first recipe I intend to try! Combine soy sesame dressing (mixture A) in pan. Cut bread into bite-size pieces and soak thoroughly in mixture A. Heat 1 tsp each butter and oil in a frying pan over medium heat. Add toast and cook until brown on both sides. Shred arugula and watercress into bite-size pieces. Remove stems from cherry tomatoes and slice in half. 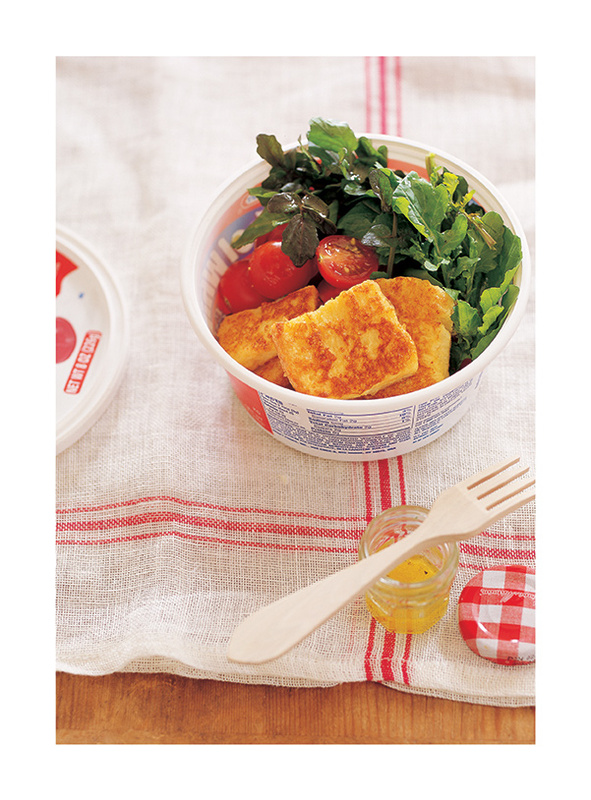 Add French toast to bento box. Add salad. Pour dressing into separate container to add to salad before eating. 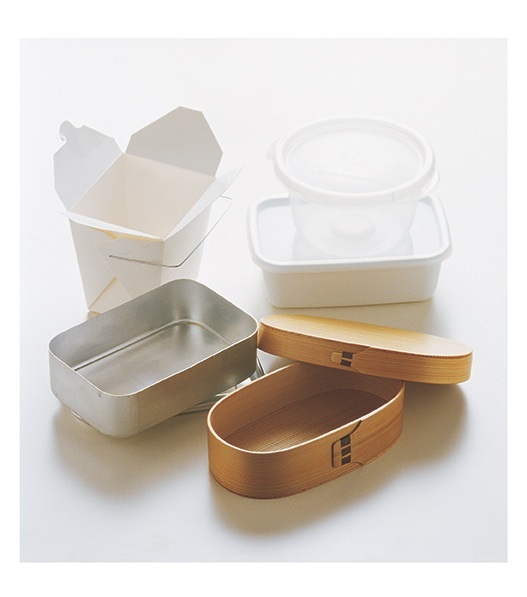 From Ten-Minute Bento (c) 2007 Megumi Fuji. Photography by Shigeki Aoto (Kodansha Photography Department) Published by Vertical, Inc. New York. I was not financially compensated for this post. I received a review copy of Ten Minute Bento for review purposes. The opinions are completely my own based on my experience. It is November. How did that happen? 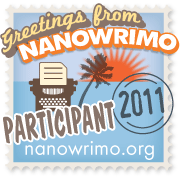 Happy Nanowrimo! What? You’ve not heard of this? Really there is no reason you would have unless you hang out with geeky writer types like me. It stands for National Novel Writing Month. During the month of November, writers all over the world are striving to write every day and produce by the end of the month a 50,000 word document that somehow resembles a 175-page novel. Every year I say I am going to participate but every year I come up with a reason (or many) not to. This is it – even if I fail miserably I have decided I am going for it! 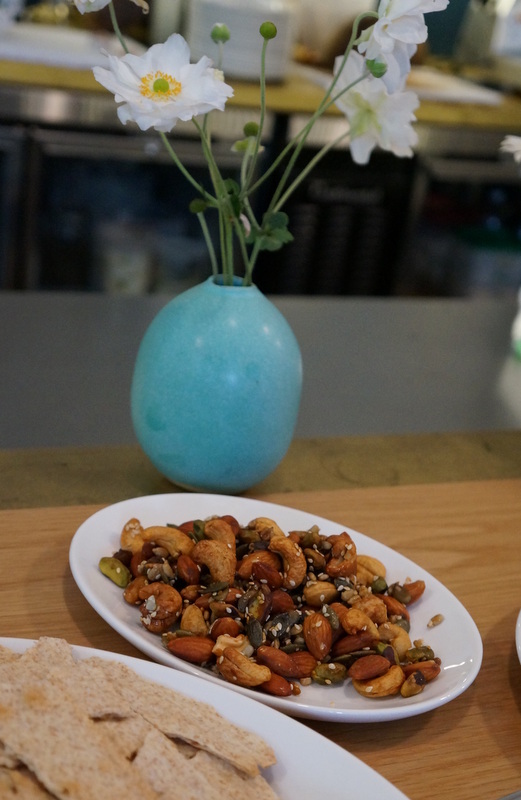 When you are fortunate enough to live in a city like Seattle, with its abundant local food choices, it can be overwhelming at times to decide where and what to eat. I just adore my hometown. 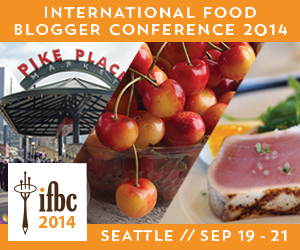 And, being (just a bit) crazy about food, I have this great desire to eat my way through Seattle. But many times when a friend or family member will ask me, a self-proclaimed “food lover”, where we should dine, I find myself a little embarrassed by my hesitation. It’s not that there’s nowhere I’d like to go, it’s just that there are SO many to choose from! Finding just the right place for the mood I am in, for the company I am keeping, with the type of food that I am craving, in the correct price range and perfect location really can be tedious and turn what should be an enjoyable experience into a chore. I find myself asking others for inspiration (one of the reasons I love social media 🙂 ), doing an internet search, or hunting for one of my many poorly-organized, handwritten “restaurant to-do” lists scattered throughout the house hidden under various piles of paper. I’ve given this process a lot of thought and even entertained the idea of creating a spreadsheet. But now I don’t have to. Yes, Seattleites! We have been given a wonderful gift! But Keren doesn’t stop there! 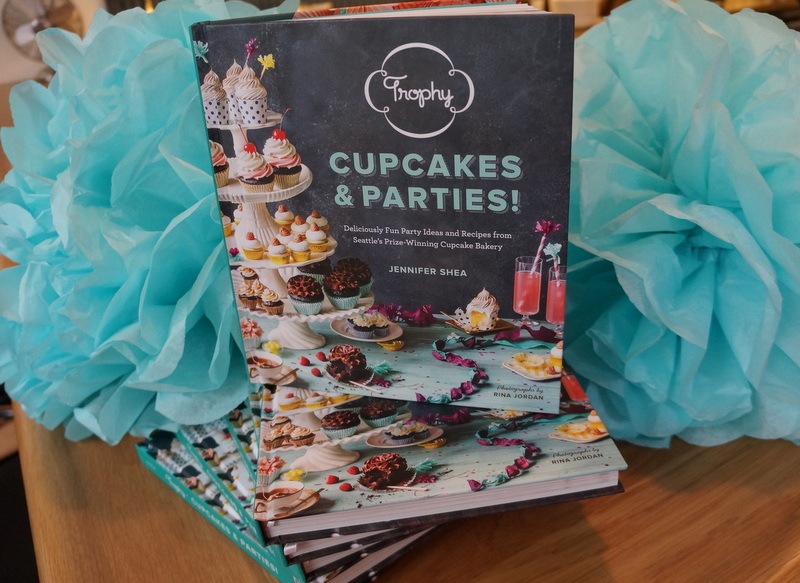 She covers everything food-related about this city, including in her book as well some prized recipes from several of our fine chefs, all the hot food events, the best happy hours around town, tips for dining with kids and even money-saving ideas. I don’t think I know too many people with a much more giving spirit than Keren. 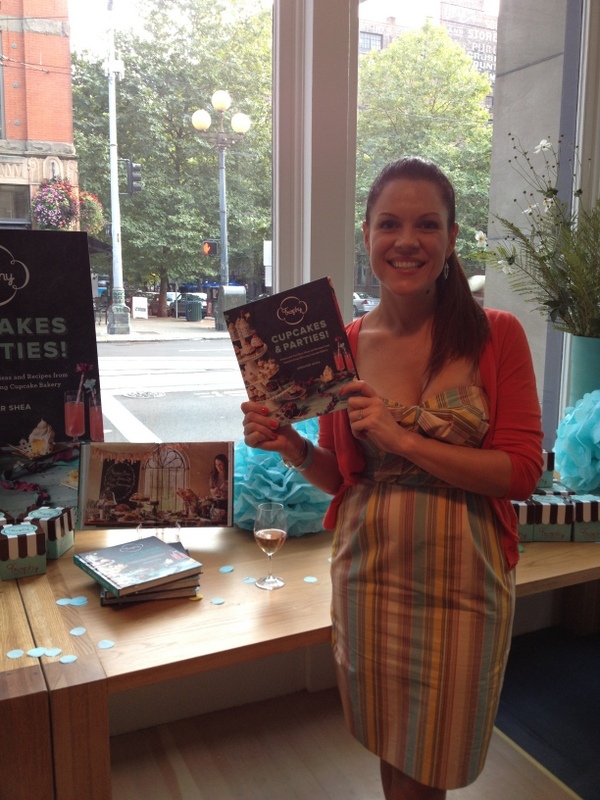 She has made it her mission to support and nurture Seattle’s growing, vibrant food-lover community by arranging networking events for local food bloggers, producing the quarterly, ever popular (always sold-out!) 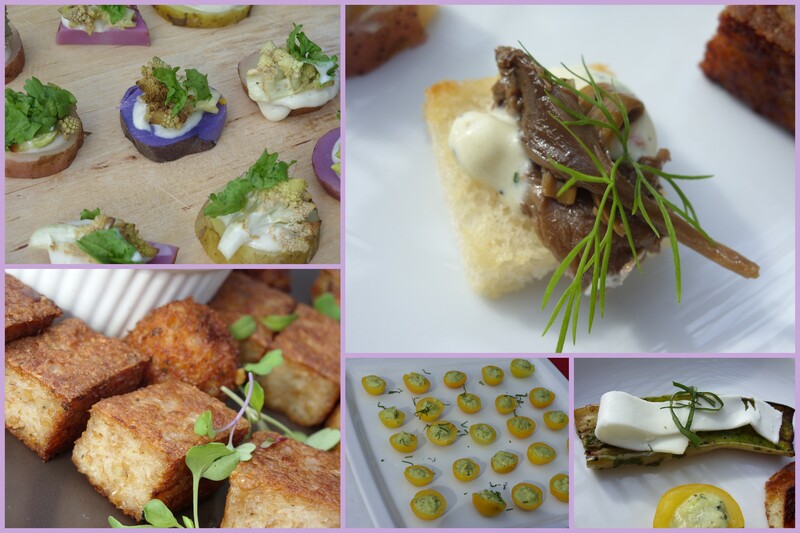 Foodportunity that brings local food purveyors and food lovers together.. And here she’s done it again! I recently had the opportunity to ask Keren a few questions about her new project. Of course she graciously agreed. 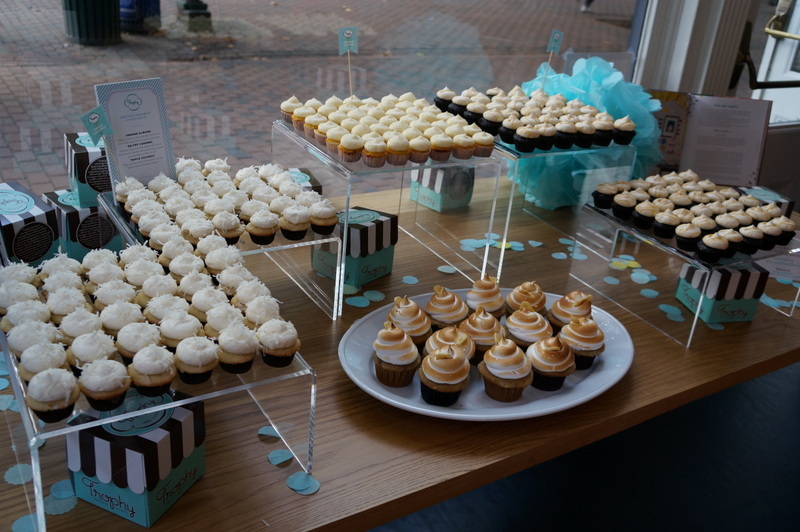 Here is a little peek inside the mind of one of Seattle’s favorite foodies and how she tackled this huge endeavor. I was motivated by the fact that I wanted to discover all those little places that I couldn’t find and I feel a need to hold a book in my hands and not always use the internet to guide me. 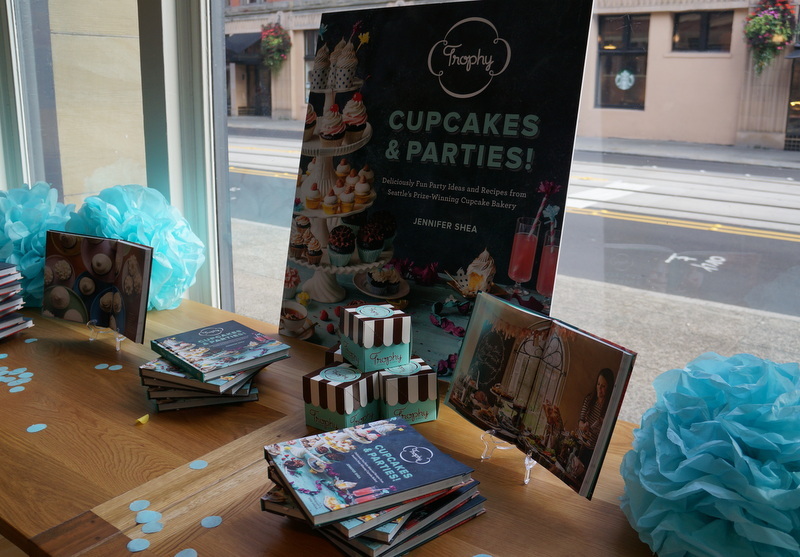 How did you choose which businesses to include in the book? The qualities I looked for in a restaurant were local so I didn’t really include chains. If there are any chain restaurants, they are local chains. There are a few chains that I like a lot but I couldn’t put in. I just wanted it to be focused.I looked for quality of food, good service and something about each place that made it feel special. It was important for me to give a little background on these places and share the favorite dishes. I arrived unannounced and quietly dined by myself (a lot of the time) and after I finished writing each piece I called the places to fact check and make sure I had the correct information. 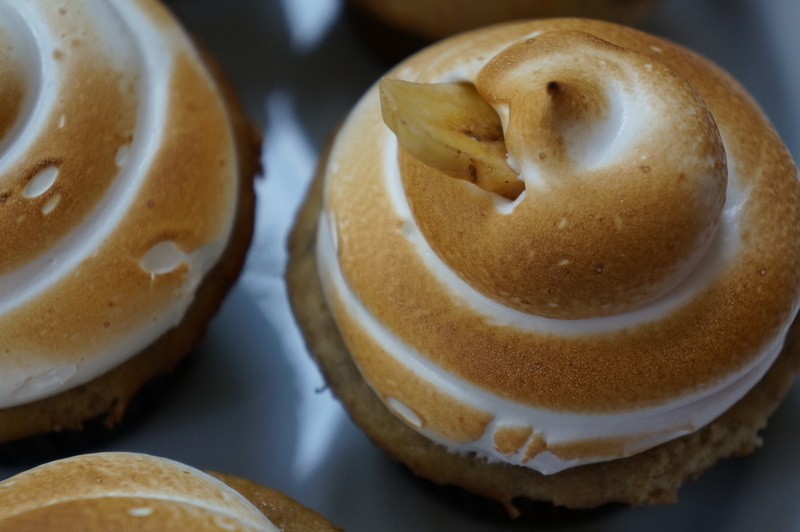 For the specialty shops and bakeries, I searched all around town to find the hidden gems and discover new cultures. Can you tell me what were your favorite finds during this project? I have a lot of favorites but I would say that some that are unknown are Gorgeus George’s and Plaka. While this iconic, clichéd phrase by Edward Bulwer-Lytton may conjure up humorous images of the stereotypical writer sitting down to pen his very own masterpiece, I would venture to guess that many a Seattle writer has probably themselves been tempted to, albeit with tongue-in-cheek, put these very same words to paper (or computer screen as it may be.) It has been speculated that the rainy, dreary weather that is synonymous with the Northwest has contributed to our repeated top ten standing on the list of most literary cities in the United States. In fact, Seattle does have more bookstores per capita and the largest percentage of library cardholders in the nation. Add to that equation our plethora of coffee houses, and we have the perfect makings for a culture in which the writer thrives. In a highly creative city with a strong arts community where writing courses, coaches, and groups abound, there is no shortage of resources for writers regarding the art of writing. But what comes after the act of composition? The very thing that scares the living daylights out of most creative types. But the most important thing to remember in pitching a book is that you don’t have to have a completed manuscript, just one killer proposal! Last fall on this blog I introduced you to Jen Worick and Kerry Colburn after attending their talk “Inside the Book Business”, at a Kim Ricketts Book Event, where the two shared with the audience, step-by-step, the elements that one should include in a book proposal. I recently caught up with this dynamic duo to find out what they are up to now, and had a chance to see first-hand how they have identified a need within the community, to de-mystify the publishing process for writers, and are passionate about filling that need. At that event last October they were stunned to find such interest in their topic and have expanded their cultivation of the hopeful writer/would-be published author by now offering not just one full-blown series, but a whole franchise. 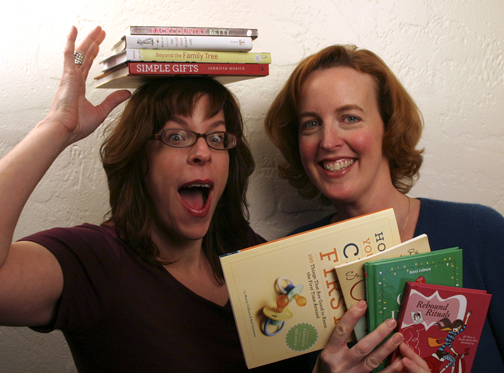 Kerry and Jen, who have been friends for almost twenty years, have close to forty years of publishing experience and forty published books between the two of them, including one New York Times bestseller. 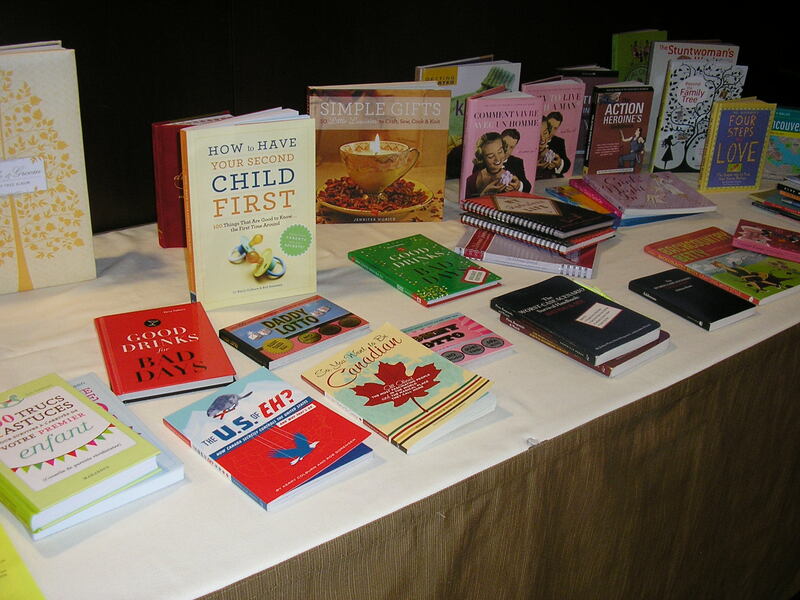 Sharing their intimate knowledge of the book publishing industry, in their new Business of Books Series at Seattle’s Hotel 1000, has given Jen and Kerry the opportunity to show how publishing, a dream for many, can be a reality. In addition to the Proposal Series, which is a much more in-depth three-part expansion of the talk I saw last fall, Jen and Kerry also offer the Publishing Series, hands-on workshops, and two-on-one virtual coaching. 1) All the things to do before you make your pitch. 2) The eight elements of the proposal and what to do to get the publisher to take notice of your book. 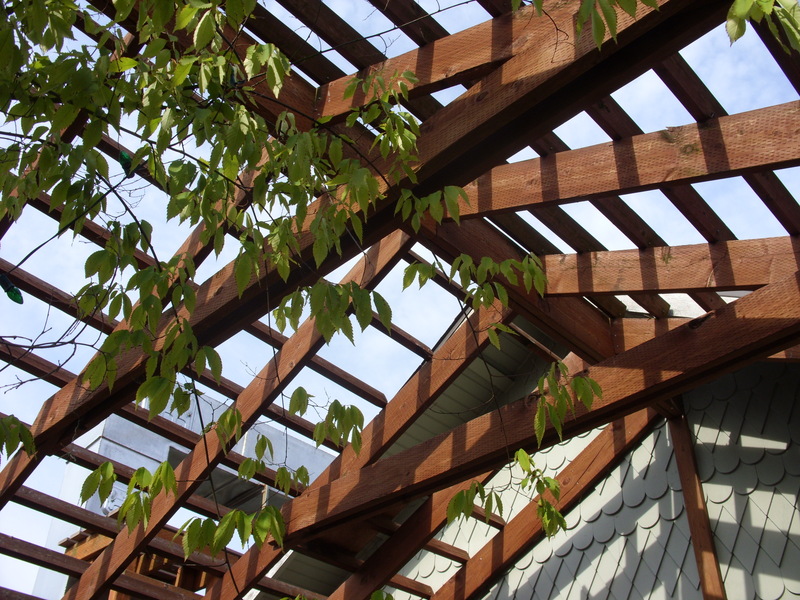 “Doing this helps solidify the idea. The proposal is the ‘roadmap’.” says Kerry. 3) This is a new piece. You will hear how a new book goes from proposal to published, all about agents, publishers vs. self-publishing, marketing and contracts, plus gain a greater understanding of the publishing process. 1) Pick Your Publisher. Learn all about your publishing options: e-publishing, indie, self-publishing, small vs. big house. 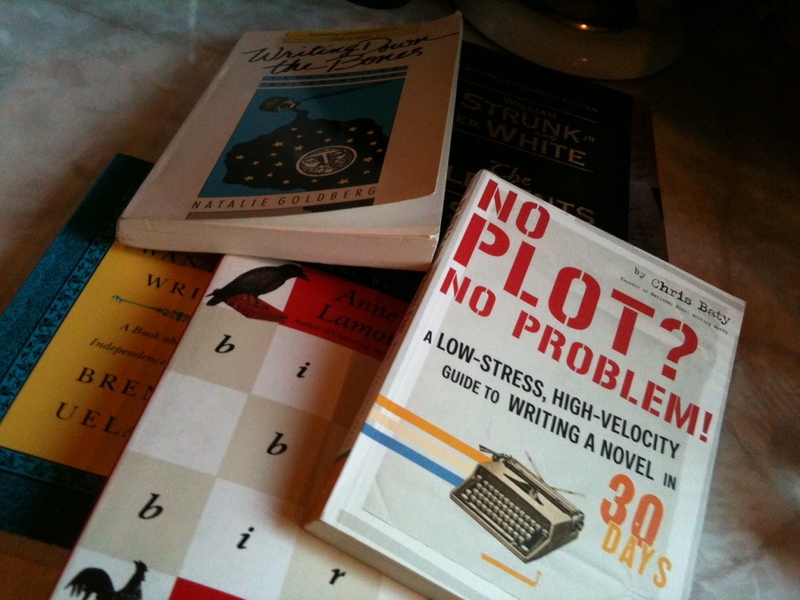 Learn the pros and cons of each so that you can decide which is right for your book proposal. 2) The Art of the Book Deal. This is the business side of publishing. The focus for this session is on contracts, marketing, and money – including advances and royalties. 3) What Makes a Book a Bestseller? How to get on the bestseller list. “There are tips for this that many people don’t realize.” says Jen. And as a New York Times best-selling author herself, she would know! If you are interested in more personal attention, the 3-hour Saturday workshops at June Restaurant are really where it’s at! This is where Jen and Kerry really get down and dirty with the writers, diving deeper into key elements of the book proposal and providing handouts and sample proposals for attendees. The smaller, more intimate group (15 people maximum) and interactive style allows for more of their feedback on a writer’s specific concept than the larger talks. But be sure to register early! 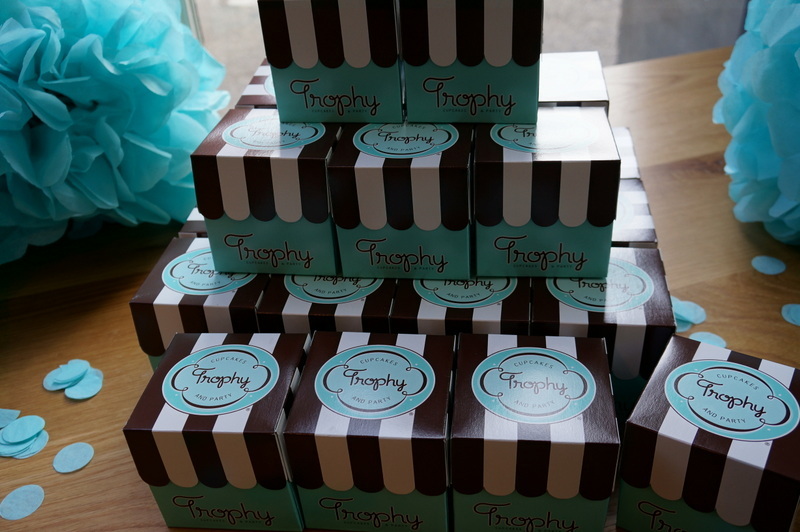 These are extremely popular and fill up fast! Hurry! The next one, Polish Your Proposal, is coming up on June 4th! “We all have something that we are passionate about.” says Jen. “And we love providing the tools to make people get there!” Kerry eagerly added.